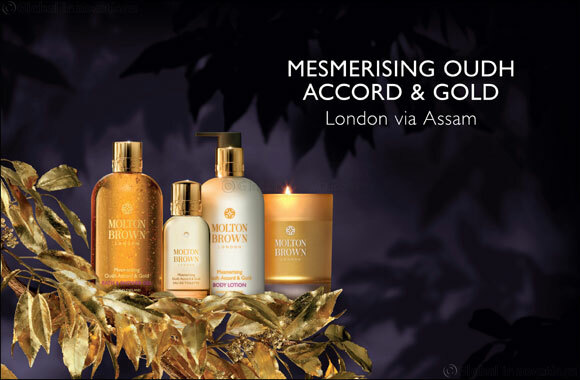 May 31, 2018: Molton Brown, London’s fragrance experts, invites you to celebrate the holy month of Ramadan with their new Mesmerising Oudh Accord & Gold Hand Collection and Bathing Luxuries. Explore the steamy depths of a spiced forest with opulent oudh accord, gold leaf and cinnamon leaf oil. Molton Brown is the ultimate gift destination for a truly bespoke gesture this giving season. Reflecting the sanctified beauty of Ramadan, fragrance consultants will help you hand pick your gifts, which will then be wrapped in uniquely fragranced tissue paper and encased in a Molton Brown signature box, adorned with the Royal Arms. The final embellishments of a hand-tied knot and gift tag will add a luxurious, personal touch for friends and family. Molton Brown sincerely wishes you and your loved ones a blessed and prosperous Eid Mubarak.